Welcome back to Day 3 of our brand new blog event! We have the first ever "5 for 5" holiday event... 5 designers will bring you inspiration for 5 days in a row, for 5 big holidays throughout 2015! Each day we have a different theme, and today the theme is ARROWS. Some of the designers are offering prizes so leave your comments to be entered to win! I followed almost all of Tim's steps and his design, but traded out the colors and exchanged a 'new year' theme to a 'valentine' theme. I also do a lot of product substitutions to work with what I already have in my stash. I encourage you to check out Tim's tag HERE and also to watch my PROCESS VIDEO! Yes... I have done 3 videos in a row woohoo!!! Is it terrible to say I like my tag more?! I'm just feeling like a proud mama with this one :) I hope you enjoyed the video. Last time I made a mixed media tag, I had a lot of requests for a video... so here you are! I'd love to have you Subscribe to my channel, too! Make sure to visit the rest of the designers in this hop! love this! thanks for the video, Rachel. Pretty tag! Love the colors and textures! Love your Valentine's take on the original!! Well, yes you could make it for valentine's day, and it is spectacular, awesome take on the challenge! Mind blowing, love this artistic Tag, textured magnificently!!! Love the tag and video. Well you certainly proved your friend wrong with your tag. It cute for Valentines. Love your tag!! Love the links and golds and your word choices! I love this tag, amazingly gorgeous! All the elements are perfect together! 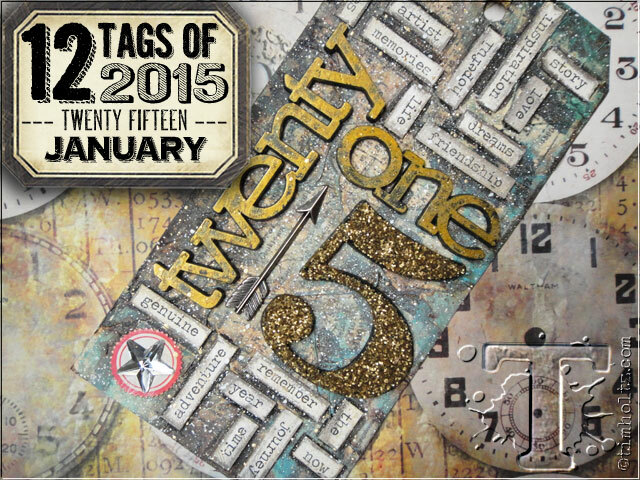 Thanks for sharing your wonderful mixed media tag. Love it. This is wonderful. I have trouble incorporating arrows into my work. Maybe I need to try more mixed media. They really look great on your tag!!! Super amazing tag! I agree Yours is the prettiest!